since we do not perform any remediation. "Your health and safety... is our main concern"
It is essential to choose a reputable, certified and trustworthy environmental inspector. and adhere to the ACGIH, IESO, EPA, OSHA, IAQA, IICRC, ACAC, and AIHA recommendations. Our considerable experience enables us to deliver knowledgeable and price sensitive solutions for many diverse environmental conditions. Federal, State and Municipal governments, Educational Institutions, Realtors, Attorneys, Consulting and Engineering Firms, Health Care & Educational Facilities, Hotels, Property Managers, Homeowners, and the Insurance Industry. Core capability in environmental assessments and building science. Application of proper sampling protocol. Cost containment without jeopardizing integrity. Custom reports containing supporting documentation and analysis for closure. 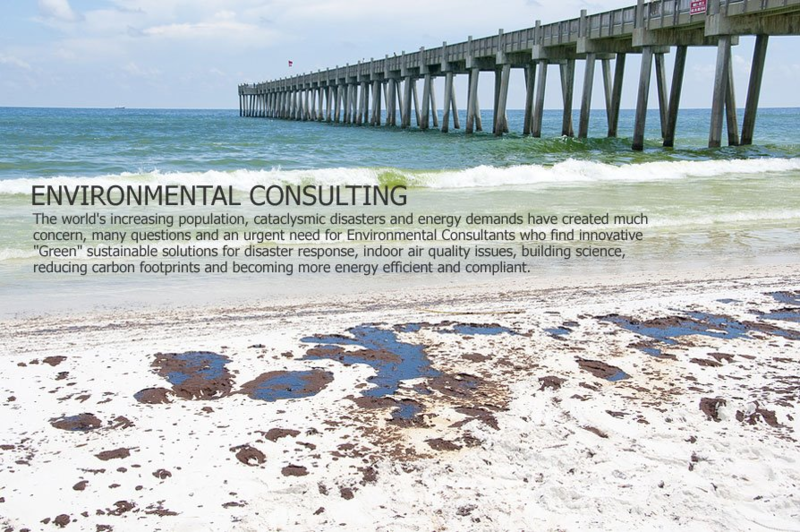 Turtle Clan's Environmental Consulting division analyze many aspects of a business to find innovative sustainable solutions for disaster response, indoor air quality, building science, reducing carbon footprints, and becoming more energy efficient and compliant. ​ delivering the highest quality service from start to finish. Top New England medical centers, hospitals, schools, housing authorities, government institutions, and corporations have trusted Turtle Clan to assess environmental issues by providing certified environmental testing, building science consultation, and expert witness testimony. are completely unbiased, and without any conflicts of interest. ​Honest Answers Based on Decades of Experience. In fact...we are the ones who train the trainers!!! Our hygienists receive industry certifications and are continually trained on the latest technologies to identify environmental hazards without damaging walls, ceilings, and floors. Turtle Clan is a 3rd Party Testing company. We implemented the first 'No Conflict-of-Interest' testing policies in the Northeast! When choosing an Indoor Air Quality Testing company, make certain they only provide testing services, and not remediation as well. Imagine having a home inspector that also owned a roofing company! Turtle Clan ONLY performs residential and commercial environmental testing and consultation. We provide only straight forward, honest answers... every time. Mold is present everywhere, in any type of home, office, or building. ​until they're suffering serious health consequences. That’s why mold testing is so important. that does't mean there could be thousands of invisible spores that are airborne. How Much Mold Does It Take To Cause Illness...??? Mold spreads spores that can cause or exacerbate illness, including triggering asthma attacks and other respiratory issues. Certain types of mold are extremely toxic, particularly for immune compromised individuals. Turtle Clan not only discovers what kind of mold and how much of it is growing through quantitative and qualitative analysis, but most importantly, Turtle Clan discovers what ’s causing the mold growth from a building science perspective. Once our experts and accredited laboratory analyze and determine what type of mold is colonizing, and how much of a potential health hazard it is, we then make an informed decision regarding a scope of work for next steps. Mold can cause a variety of health issues, so it is paramount to understand if it is present, and if it's toxic. ​We are skilled specialists working together for our client's success. We take pride in the results of our work and stride to go beyond the expected deliverables. As proven by our referral business over 20 years, we exceed expectations by establishing client relationships based on teamwork and trust. Question: Why are we concerned about mold? Answer: Small amounts of mold growth in workplaces or homes (such as mildew on a shower curtain) or workplaces are not a major concern, but no mold should be permitted to grow and multiply indoors. When molds are present in large quantities, they may cause nuisance odors and health problems for some people. Mold can damage building materials, finishes and home furnishings. Some molds can cause structural damage to wood. Question: How do molds affect people? Answer: Most people will have no reaction at all when exposed to molds. Allergic reactions, similar to common pollen or animal allergies, are the most common health effects for individuals sensitive to molds. Flu-like symptoms and skin rash may occur. Molds may also aggravate asthma. Fungal infections from building-associated molds may occur in people with serious immune disease but this is very rare. Most symptoms are temporary and eliminated by correcting the mold problem in the home. Question: Who is affected by exposure to mold? 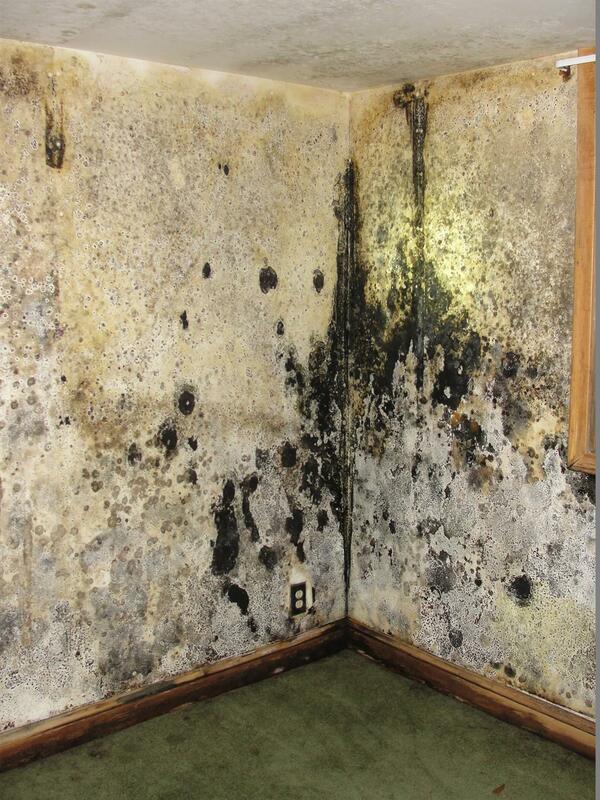 Answer: Molds are forms of fungi that are found everywhere- both indoors and outdoors all year round. Outdoors, molds live in the soil, on plants and on dead or decaying matter. Another common term for mold is mildew. 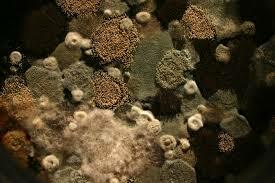 Mold growth is encouraged by warm and humid conditions, although it can grow during cold weather also. There are many thousands of species of mold and they can be in any color, including white, orange, green, brown, or black. Many times, mold can be detected by a musty odor. Most fungi, including molds, produce microscopic cells called "spores" that spread easily through the air. Live spores act like seeds, forming new mold growths (colonies) when they find the right conditions. All of us are exposed to fungal spores daily in the air we breathe, both outside and inside. Question: How does mold get into a house or building? Answer: Most, if not all, of the mold found indoors, comes from outdoor sources. It seems likely to grow and become a problem only where there is water damage, high humidity, or dampness. All molds need moisture to grow. Common sources of indoor moisture that can cause mold problems include flooding, roof and plumbing leaks, damp basement or crawl spaces, or anywhere moist air condenses on cold surfaces. Bathroom showers and steam from cooking might also create problems if not well ventilated. Question: How can I prevent mold growth? Answer: Controlling excess moisture is the key to preventing and stopping indoor mold growth. Keeping susceptible areas in the home clean and dry is very important. Ventilate or use exhaust fans (to the outdoors) to remove moisture where it accumulates: bathrooms; kitchens; and laundry areas. Be sure the clothes dryer vents to outside the house. Repair water leaks promptly, and either dry out and clean or replace any water-damaged materials. Materials that stay wet for longer than 48 hours are likely to produce mold growth. Lowering the humidity in the home also helps prevent condensation problems. To lower humidity during humid weather, air conditioners and dehumidifiers may be used. Proper exterior wall insulation helps prevent condensation inside the home during cold weather that could cause mold growth. Question: Can mold be toxic? Answer: Some molds can produce toxic substances called mycotoxins. Airborne mycotoxins have not been shown to cause health problems to occupants in residential or commercial buildings. The health effects of breathing mycotoxins are not well understood and are currently under study. Question: What is "black mold"? Answer: The news media often refer to "black mold" or "toxic black mold." 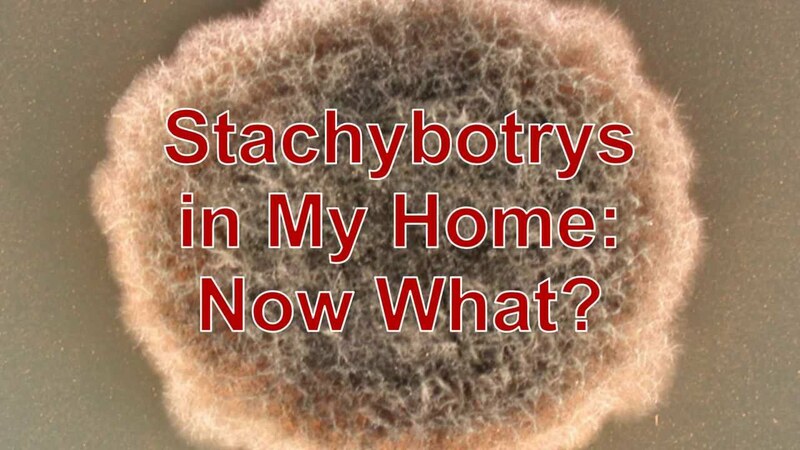 It has usually been associated with the mold Stachybotrys Chartarum, a type of greenish-black mold commonly associated with heavy water damage. However, mold is a chameleon and will turn the color of its food source. Known health effects are similar to other common molds. It has been inconclusively associated with more severe health effects in some people. While there are only a few molds that are truly black, many can appear black. Not all mold that appears to be black is Stachybotrys. Question: What should I do if I see or smell mold in my home? Answer: The most important step in solving a mold problem is to identify and fix the moisture sources that caused the mold growth. For small mold problems, use detergent and water to wash mold off hard surfaces and dry completely. Porous or absorbent materials (such as ceiling tiles, wallboard and carpeting) that become moldy should be replaced. If you do not see mold growth, but notice a musty odor, mold may be growing behind water-damaged materials, such as walls, carpeting or wallpaper. Persons cleaning mold should wear gloves, eye protection and a dust mask or respirator to protect against breathing airborne spores (an N95 dust mask or respirator may be purchased in hardware stores). If you have health concerns, you should consult your doctor before doing any mold cleanup. Question: What are Possible Sources of Excessive Moisture? Question: How Do I Control Moisture? Maintain roof and gutter/downspout system. Direct runoff away from foundation by grading, drain tile, landscaping, etc. Prevent leakage around windows, doors, flashing, etc. Identify moisture source and correct the problem (see lists of possible moisture sources and control above). *Keep in mind that molds may be hidden. A moldy smell with or without visual confirmation is indicative of a mold problem, particularly if accompanied by health problems. Mold may be hidden on the backside of dry wall, wallpaper or paneling, the top side of ceiling tiles, the underside of carpets or pads, etc. Investigation of hidden mold should be undertaken with caution as disturbing some sites with extensive mold growth may result in a massive release of spores (e.g. removal of wallpaper). Consider hiring an experienced professional if hidden mold is suspected. Once the moisture problem has been addressed, which addresses the future growth of molds, removal of the existing mold contamination can begin. Remove mold by cleaning and disposal *Do not paint or caulk over mold. a. Paint applied over moldy surfaces is likely to peel. b. Porous materials should be removed, bagged and discarded. c. Non-porous materials may be cleaned with non-ammonia detergent and scrubbing. d. Disinfect using household detergent. 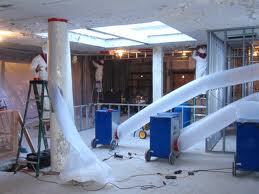 Dry thoroughly, keep in mind wet building materials take time to dry out completely. Fans and de-humidifiers may speed the process. The use of a moisture meter to monitor the moisture content of the material may be helpful. Concerns relating to the presence of mold in the home or dwelling requires an independent, 3rd Party, Certified Residential Mold Inspector to conduct a thorough site assessment. Turtle Clan will take the necessary and appropriate actions to assure proper IESO, IAQA, ACGIH, IICRC, ISO, NADCA, ASHRAE, OSHA, EPA, AIHA and all State and local governmental protocol is followed in all investigations. Fine - particles 2.5 micron or less in diameter. For reference purposes, a micron is 1/25,000th of an inch in diameter! It is the fine particles, 2.5 micron or smaller, that our natural defense systems cannot eliminate. Individuals with health problems, such as allergies or asthma, need to be protected from poor indoor air quality, as do certain other groups such as the elderly or the very young, who may have compromised or underdeveloped respiratory systems. Problems with indoor air quality go beyond health related issues - productivity, absenteeism, product integrity and even one's sense of well being may be adversely affected by poor air quality. remove the contaminant from the air by filtration. One can't always reduce or eliminate the air contaminant source. Ventilation can be a good approach, but the source of contaminant may be in the outside air itself. Also, ventilation can raise the cost of conditioning the air, since that may be required to heat or cool more air than before. When control and ventilation are not practical, filtration becomes an important option. When harmful fine particles need to be removed from the air, make sure to select a filter or filtration device that is specifically tested for its ability to remove very small particles. Some air filtration products state high efficiencies, but are really stating the capacity for holding dirt according to a percentage of total weight. This does not guarantee there will be an ability to filter out a corresponding high percentage of the fine particles. In a given sample of indoor air, about 98.5% of the number of particles present will be 1 micron or smaller in diameter. If there is a need to remove sub-micron particles, make sure the product that's being evaluated has been tested specifically for its ability to remove particles in the 2.5 micron range and smaller. Turtle Clan provides a complete array of Building Science, Industrial Hygiene, Environmental Consulting, and Testing services, and is one of the most trusted and respected firms in New England. For over 20 years, Turtle Clan has provided certified quantitative and qualitative testing services to thousands of Realtors, school systems, municipalities, industrial, commercial, and residential customers, empowering our clients with our expertise. Turtle Clan delivers solutions and the highest quality service from start to finish. Top medical centers, hospitals, schools, housing authorities, government institutions, property managers, and corporations have trusted Turtle Clan to assess their environmental issues, and provide affordable, timely insights and solutions. Turtle Clan was the first company to offer "No Conflicts of Interest" environmental testing and consulting in mold, lead, asbestos, water, soil, radon and indoor air quality, since we have never performed remediation services like many other companies still do. We maintain corporate offices in Connecticut, and on our reservation in Quebec, Canada; and serve areas including Fairfield, Litchfield, New Haven, and Hartford counties in Connecticut. We provide objective, high-quality information about building physics, system design concepts, and an awareness of sustainability to promote healthy, durable, more sustainable and more economical buildings. Moisture is the primary agent of deterioration in buildings, and hence controlling moisture is crucial to ensuring durability. Moisture is also the most common factor in Indoor Air Quality problems such as mold and odors. The water molecule has many interesting properties that explain its odd behavior and its interaction with materials. Air barriers, vapor barriers, housewraps/WRBs, and capillary breaks are building products and systems whose major function includes moisture control. The required level moisture control, depends on the quantity, phase (liquid, vapor, solid), frequency of the load and the mechanism of movement that must be controlled. The primary sources of moisture: rain and snow, water vapor in the air, ground water, and construction moisture, have different magnitudes and have different significance for different climates, building uses, enclosure types, and materials. Moisture moves by a number of mechanisms: capillary flow, vapor diffusion, air convection, and gravity flow. Each of these mechanisms is driven by different forces and flows at vastly different rates through different materials. Air movement carries with it humidity, heat, pollutants, and sound. Controlling airflow, across the enclosure, between zones, and from the distribution system to hollow partitions is therefore required to achieve comfortable, healthy, and energy efficient building. Air movement is driven by pressure differences through flow paths: understanding the complex flow paths and dynamic spatially variant pressure field that act within. Different climates, and different interior space conditions, require different assemblies, materials, and design strategies. Increasing the complexity for building designers are different wind loads, earthquake risks, wildfire and flood probabilities. With all these factors playing a role in building design, only one thing can be stated with certainty- where you build should matter to how you build. Turtle Clan follows the IAQA, IESO, AMIAQ Council, and AIHA recommendations for the assessment of indoor environments for mold contamination. It is important to use a firm that is certified in, and follows these protocols to insure project is completed successfully. First find the cause. We are looking for the source of the water incursion such as roof leaks, broken pipes, excessive humidity or other common factors of excessive moisture. Once mold gets wet, it takes approximately 24 to 48 hours for it to colonize creating great elevations in particulates. Level I Environment Site Investigation provides standardized procedures to be used in the evaluation and characterization of suspected mold colonization. How much mold do you have and what kind it is? We take samples either by swabs, tape, or bulk to identify surface mold and air samples. How much is in the air? Are you breathing it? Since mold is naturally occurring everywhere in nature, all homes and businesses have some mold. An outside air sample is used as a base for comparison. Level II Environment Site Analysis involves Level I investigation plus a visual, non-invasive inspection of the residential structure with sample collection and data interpretation to rule out sources of moisture and/or mold contamination. Identified particulates are then determined and depending on toxicity cleaning procedures are recommended. If it is toxic, it is a Hazmat material and must be remediated by a licensed professional. If it is an allergenic, you can in most cases, clean it yourself with a strong detergent. More extensive data is complied using photo documentation as well as infrared thermography. Infrared Thermography is essential to discovering hidden leaks, unseen water damage, and water saturation of materials, electrical circuits, and changes in the air temperature and air leaks. Very helpful test for insurance claims where burden of proof is essential. Infrared Thermography is also a good tool for real estate transactions for buyer and/or seller. Our fully accredited laboratory enables us to offer fast turnaround and ensures samples and data are analyzed under a rigorous quality assurance/quality control program. Client confidentiality is assured at all times. A Holistic Examination of a structure is required to determine its historic, existing and future relationship with water damage and existing moisture. Locating current or past water damage that causes microbial growth. The discovery of preventative measures, including deferred maintenance and/or building defects that could contribute to future water intrusion issues. Following a clear concise systematic approach with each PMMA. Our reports include descriptions and photo documentation of every issue discovered on the premises. This is a phenomenal tool of tremendous value to new home and commercial buyers, realtors and insurance agents. It discovers existing and previously undetected or undisclosed issues. This assists in the current and future ability to repel water intrusion. Fix plumbing leaks, drips or sweating pipes. Limit sources of indoor humidity/dehumidify indoor air. Improve air movement in poorly ventilated areas. Controlling mold exposure requires strategies that address removal of mold contaminants as well as the source of moisture that sustains the mold growth. The following steps should be taken to eliminate the presence of indoor molds. (1) Identify moisture source and correct the problem (see lists of possible moisture sources and control above). *Keep in mind that molds may be hidden. A moldy smell with or without visual confirmation is indicative of a mold problem, particularly if accompanied by health problems. 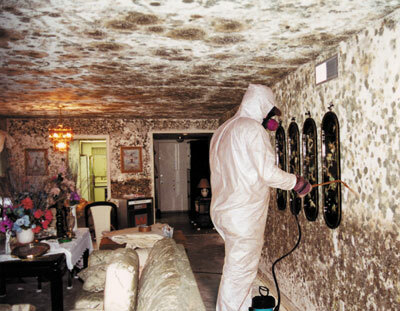 Mold may be hidden on the backside of dry wall, wallpaper or paneling, the topside of ceiling tiles, the underside of carpets or pads, etc. Investigation of hidden mold should be undertaken with caution as disturbing some sites with extensive mold growth may result in a massive release of spores (e.g. removal of wallpaper). 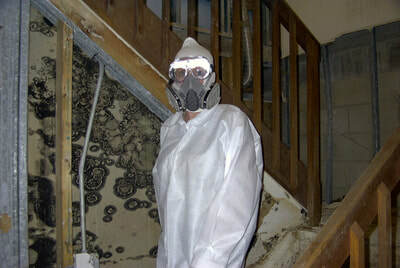 Consider hiring an experienced professional if hidden mold is suspected. Once the moisture problem has been addressed, which addresses the future growth of molds, removal of the existing mold contamination can begin. Molds can be toxic; personal protective equipment should be used to avoid excessive mold exposure during the clean-up process. (2) Remove mold by cleaning and disposal *Do not paint or caulk over mold. c. Non-porous materials may be cleaned with non-ammonia detergent and scrubbing. d. Disinfect using household detergent. (3) Dry thoroughly- keep in mind wet building materials take time to dry out completely. Fans and de-humidifiers may speed the process. The use of a moisture meter to monitor the moisture content of the material may be helpful. The EPA rates Radon as 2nd leading cause of cancer after smoking cigarettes killing 200,000 Americans each year. In fact, the EPA believes that 1 out of every 15 homes in America has elevated radon levels! *Resources: A Citizen's Guide to Radon | Consumer's Guide to Radon Reduction. 2. Radon patterns change, especially during storms when negative pressure draws the radon up thru fissures and hydrostatic cracks in the substrate. Radon concentrations build up in underground soils and rocks. Cracks and fissures enable the radon to move through the ground the same way a conduit or pipe allows gas or liquid to move. Finding its way through building cracks and openings into enclosed areas, high concentrations of radon can build up in your home, and pose increased lung cancer risks according EPA, the American Lung Association and the National Environmental Health Association. Testing a home before you buy it may save you thousands of dollars in corrective measures due to elevated levels. Our CEHIs have been trained to utilize the latest technology for radon testing in order to ensure your home is safe from radon hazards. CEHIs utilize passive devices as well as active electronic continuing radon monitoring devices. All tests conducted in accordance with EPA require testing devices to remain in the home for a minimum of 48 hours. Our CEHIs, depending on the circumstances may set the testing devices 2-3 days prior to the investigation. This is a very useful tool to help find hidden leaks; unseen water damage, water saturation of materials, electrical circuits and more. Excellent test to check viability and species of microbial particulate. The Aspergillus profile, for instance, shows entire aspergillus family. If you need to find a specific agent in your home or place of business that a Dr. might have found in your bloodstream for example, this is the test. This test is used to determine chemical composition, volatile organic compounds (VOC's) odors, carpet emissions, Legionellas and thousands more. If your samples come back from the lab with levels exceeding 10 times the outside sample numbers, and if it is a toxic species, remediation may be necessary. Turtle Clan will return after the remediators job is completed to ensure microbial numbers reflect a thorough remediation has been performed by testing, clearance letters, mandated protocols, consultation, or when testimony from an expert witness is needed. Why Test for Air Pathogens? Most people spend 60% to 90% of their time indoors where 50% of all illnesses are either caused by, or are aggravated by polluted indoor air. Levels of hazardous indoor air pollutants have been found to be up to 70 times greater than outdoor air. 1 out of 6 people who suffer from allergies do so because of the direct relationship to fungi and bacteria in air duct systems. 10 to 12 million Americans suffer from asthma. Obviously, the solution to breathing clean and clear air is to have your entire duct work system professionally cleaned. Air Pathogen Testing is a simple, safe and fast way of getting accurate results to the amount of bacteria and other pollutants present in your duct work system. Concerns relating to the presence of Mold or Air Pathogens in the home or dwelling requires an independent Certified Inspector. For comprehensive, cost-effective answers contact us today. Turtle Clan will take the necessary and appropriate actions to assure proper protocol is followed in all investigations.